Honda snowblowers are known for being top of the line machines. Every Honda snowblower is equipped with a 4 stroke engine, which means no oil and gas mixing, no smoke, easy starting, low emissions, and better fuel economy. 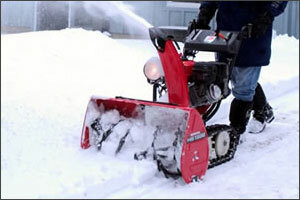 Honda snow blowers also use high quality components from their largest to their smallest models. Also, all 2 stage Honda snowblowers have commerial grade hydrostatic transmissions for smooth, easy, and low maintenance operation. 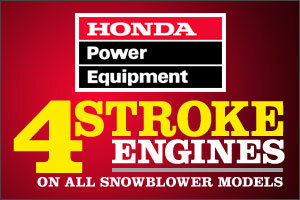 All Honda snow blowers use a Honda 4 stroke engine, which has many advantages over a 2 stroke engine. Convenience is one, because you don't have to mix oil and gas. Honda snow blowers also start up easily with no need to prime. Honda 4 stroke engines produce less pollution, so you won't smell from smoke, and your Honda snow blower will meet EPA emission standards in all 50 states (even CA). 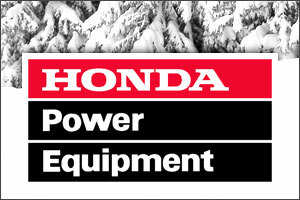 Honda snow blowers are also fuel efficient, so less gas and no oil to purchase means lower operating costs. All new Honda snowblowers have engines that meet or exceed current EPA and CARB (California Air Resource Board) standards. Honda snowblowers get better fuel economy and lower emissions. 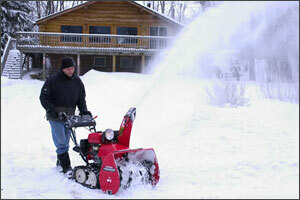 No other major snow blower brand meets these standards across their line of models. 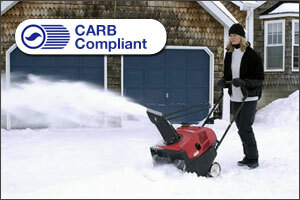 You will not have to mix oil with your gasoline when you have a Honda snowblower. Less mess and less fumes means less waste as well. Want to get the best traction out there? Honda's two stage track drive snow blowers are the tanks of snow removal. The track drive models are ideally used to battle steeper inclines, heavier snow drifts, and icier surfaces. The rubber tracks with sure-gripping cleats are able to clear packed snow like no other machine. They're great for use on gravel or stone driveways and ice covered sidewalks. Leave the slipping and sliding behind! Numerous professionals and consumers agree that Honda's engines are very dependable starting machines. Whether you prefer a recoil start or a plug-in electric start, Honda's snow blower line-up has you covered. The HS720AA and HS720AM models provide a reliable recoil start option. The HS720AS models employ the electric start option. Both offer top-of-the-line starting dependability, even in the coldest conditions. Professional Snow Blowers Professional two stage snow blowers are high performance machines with commercial grade parts. They are built to last, can handle a heavy workload, and clear snow quickly and efficiently.